With laws popping up all over the country requiring the use of hands-free devices when talking on a cell phone, one wonders if it really is safer. There are studies to support both sides of the debate with evidence to both cases. Using hands-free devices does free up your hands while driving, but they aren’t exactly hands-free at all times. Fussing with earbuds and microphones can distract drivers as much as using their phone can. This can be further amplified by voice-dialing devices that frequently don’t recognize properly and cause a driver to swerve or easily become engrossed in their phone, rather than the road. Frequent reports of accident data for distracted drivers often list cell phone use as low as 1.5 percent, according to the University of North Caroline Highway Safety Research. Main causes of distraction often include persons, objects, events, radios and other occupants in the vehicle. This data is further supported by many police department reports. Concern over the accuracy of these reports has been called into question as drivers may be unwilling to admit they were using a cell phone. Studies by the University of Utah found that students actually had a slower reaction time when talking directly on their phone than using a hands-free device. This study found that hands-free driving allows the processing of 50 percent more visual information than direct cell phone use. National Safety Council mirrors this data, citing that up to 50 percent of driver distractions can be overlooked if they are looking through the windshield. This allows motorists to process more information, which it claims can be reduced by as much as a third when on the phone. While the debate continues over hands-free device and cell phones, it is clear that these regulations aren’t going away anytime soon and may, in fact, become stricter with time. 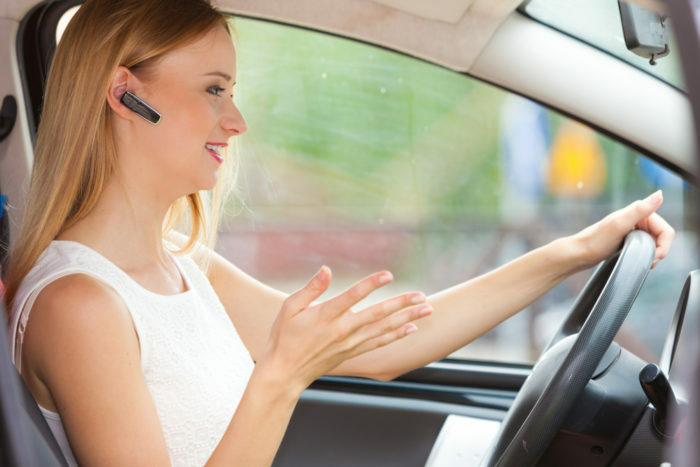 It is clear that it is important to follow the laws set by your state for hands-free devices and cell phone usage. If you have been injured as a result of a driver using a cell phone, contact a qualified personal injury attorney about your legal options. Personal injury attorney Richard Stoloff has the experience you are looking for in when you have been injured by the cause of another. Contact Richard Stoloff today to schedule a free initial consultation.